From my perspective, the single biggest threat we face to sustainably producing high quality winegrapes in Sonoma County is the proliferation of the vine mealybug. 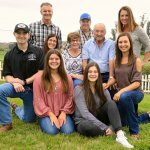 Consider this article a call to arms for all farmers involved in winegrape production and for those who support the continuation of sustainable farming practices in Sonoma County. I believe that given the amount of vineyard replanting due to red blotch disease, the timing is right to put our heads together and develop a comprehensive countywide strategy to slow the spread of vine mealybug. We will never completely eradicate it, but with collaboration and diligence, we can dramatically reduce new infestations and spread. For this to be successful, everyone who has a stake in this issue must engage and ultimately buy into a strategic plan. 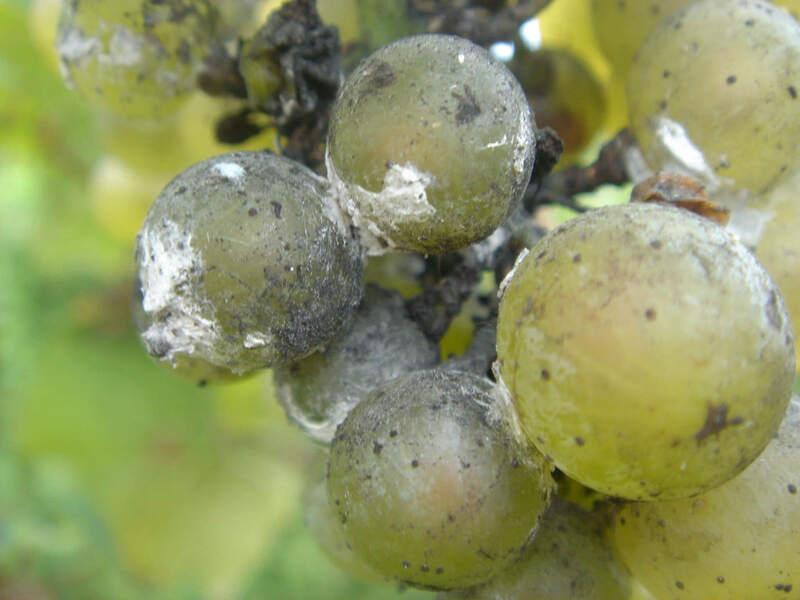 The alternative is to let this pest become broadly established in the county, ultimately threatening the environmental and economic sustainability of all winegrape producers. Currently, control programs in an infested vineyard may result in the grower spending an additional $400 to $500 per acre per year for the life of the vineyard. With the potential loss of several important crop protection tools that are effective against this pest, these costs could rise while our ability to control it may decline. I am going to broadly lay out some of the elements of a strategic plan that I believe are most important to include if we want to succeed, and some of the challenges we will face. There are long-term considerations as well that we need to discuss to protect ourselves in the future from similar threats. First and foremost, we must plant and replant our vineyards using clean nursery stock. Vine mealybug (Planococcus ficus) is considered a “B” rated pest by the state, defined as an organism that is of limited distribution and a pest that has been determined to be of known economic importance. “B” rated pests are subject, at the discretion of the Agricultural Commissioner, to eradication, containment, control, or holding action. In nursery stock, there is no tolerance for “B” rated pests. As the Agricultural Commissioner of Sonoma County, it is my statutory responsibility to protect the county from the introduction and spread of injurious insect pests and plant diseases. 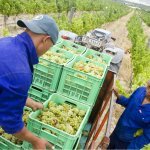 For these reasons, the Department has been and will continue rejecting all grapevine shipments that carry vine mealybug. I am working with other Agricultural Commissioners and their staff in counties with grapevine nurseries to address these issues on the production end. Ultimately, it is the responsibility of the shipping nurseries to clean up their acts before we will accept their vines into the county. Our inspectors have been trained by experts at UC Cooperative Extension and are very adept at spotting vine mealybug on shipments. Notification to the Agricultural Commissioner of incoming shipments of green growing grapevines entering the county is automatic when they are coming from a Glassy-Winged Sharpshooter quarantine area. There are other notifications for green growing grapevines required under a 1992 county ordinance aimed at Western Grapeleaf Skeletonizer. The Department is currently shoring up this notification requirement with shipping nurseries so that notification for all green growing grapevines entering the county is required. In any event, we would encourage growers receiving green growing vines to call the Department at (707) 565-2371 before the vines are planted so that we can send an inspector out. Growers must be prepared for the possibility that the shipment will be rejected if vine mealybug or other serious pests are found. Pests of common occurrence are allowed in limited numbers. immediately before they go into cold storage, there is minimal risk of becoming infested at the nursery compared to green growing grapevines that remain outdoors at the nursery until they are shipped. There are no Vineyard and Orchard Erosion Sediment Control Ordinance (VESCO) restrictions for planting vines any time of the year. Rainy season restrictions on work apply only to the groundwork and preparation of the ground, but not to actual planting. Whenever possible, dormant vines should be planted. 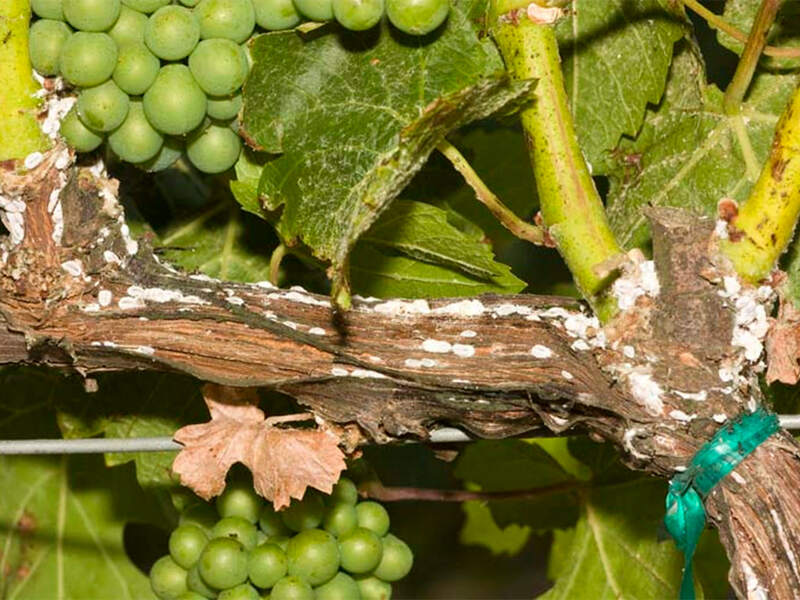 In addition to starting vineyards clean, other measures should be taken to avoid the spread of vine mealybug from previously infested sites in Sonoma County. There should be some coordinated and voluntary effort on the part of the industry to make sure that we are not spreading it around. We need to be mindful of how equipment is moved around and that this pest can also move on workers’ clothing. Because of the sticky honeydew that the insect excretes, both insects and eggs can easily be transferred from infested vines to equipment. Mechanical harvesters and equipment that touch the canopy should be thoroughly cleaned before leaving a vineyard that has vine mealybug. To be successful at preventing movement, we must know where we have infested vineyards. In order to do that, we need to communicate with each other about this threat and consider implementing a trapping and mapping program to facilitate this effort. With minimal funds, we could piggyback vine mealybug traps with the European Grapevine Moth traps that we already have in the field. Another part of a comprehensive management plan is prevention of the spread through winery waste. Vine mealybug can survive in a pile of unfermented pomace or stems from a destemmer that has not been securely covered with clear plastic for a week or composted. We must be careful about not spreading these types of winery waste near vineyards and raise awareness about the risk of infested winery waste among wineries and growers alike. Lastly, looking ahead into the future, I think we need to seriously consider the formation of a Pest Control District (PCD). 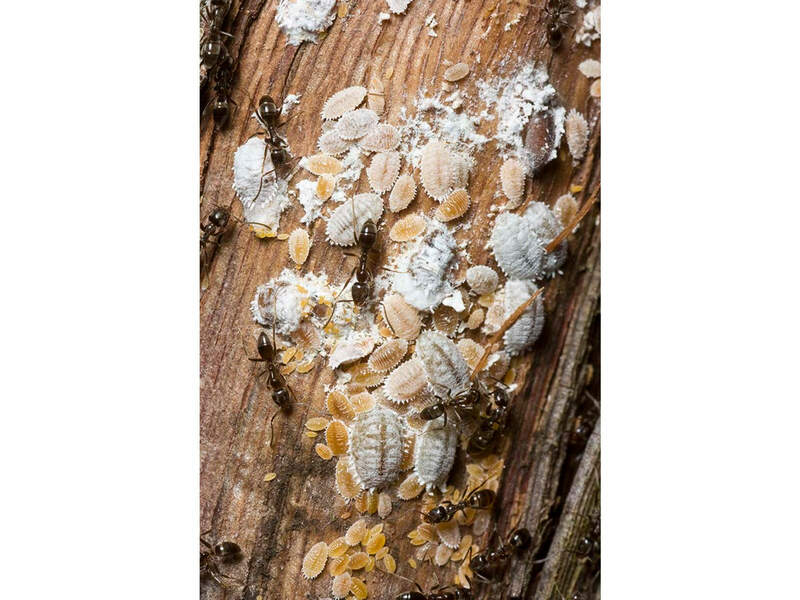 When growers of a commodity identify that their crop is being affected by a pest or pathogen that cannot qualify for state or federal control programs, an option is to implement control measures on their own. Vine mealybug is a perfect example of this situation. A PCD must be initiated by the producers and gives producers authority to implement control measures. Napa County grape growers formed a PCD years ago in response to the Pierce’s Disease and Glassy-Winged Sharpshooter, expanding the scope in 2006 to include other grape pests such as vine mealybug. I think that formation of a PCD in Sonoma County would be a strong and bold move to signal our commitment to sustainability and really goes to the heart of sustainable winegrape production! I have provided here a very brief overview of some of the actions that we need to consider. The Department of Agriculture/Weights & Measures will continue to do what we can under our authority, but this problem requires a coordinated and committed effort by the winegrape industry and others to be successful in the long term. We are very lucky to have dedicated and talented scientists, Rhonda Smith and Dr. Lucia Varela, at our UC Cooperative Extension who understand the importance of this issue and can assist in these efforts. So I put this forward as a call to arms for the industry to band together and take action. At the very least, as your Agricultural Commissioner, I feel it is my duty to sound the alarm on these threats to sustainable agriculture in Sonoma County as I see them. Rest assured that the Department stands ready to assist in whatever the industry decides is the appropriate path forward. To notify the Department of an incoming shipment, or if you have any questions or concerns, please call (707) 565-2371.